Sometimes, when a person has not filed a tax return in a while, the IRS will prepare a tax return based on the information they have available. It is called a substitute for a tax return. The IRS does this so they can assess tax and begin collection activities. For example, suppose Frank is a self-employed graphic designer. He works for various companies as an independent contractor, and they send him 1099-MISC forms to report the income paid to him. Frank forgot to file his 2013 and 2014 tax returns (he was really busy those years). Eventually, the computers at the IRS noticed Frank had not yet filed for those two years. What the computers do is they pull all the tax documents regarding his income (all those 1099-MISC forms), and the computers use that to calculate Frank's tax. Then the computer mailed him a letter saying, essentially, based on what we know so far, here's how much tax you owe. All the IRS wants, it seems, is the tax money. Just how do we go about solving this problem? We turned to Falisha Griffin. She's a tax professional who specializes in filing late tax returns. They can petition the Tax Court, which must be done within 90 days of receiving their statutory notice of deficiency. Or they can file an original tax return. It's usually better to just go ahead and file an original tax return. The reason, according to Griffin, is that the original tax return could be filed, processed and the client will receive any refund money due to them within the same amount of time as it takes to get an appearance before the Tax Court. Usually, people find out that the IRS has prepared a substitute tax return when they get a letter in the mail. The IRS will mail an assessment letter. Here's an example of what an assessment letter from the IRS looks like (sample Letter 2566 in pdf format). Basically, this letter says that the IRS will propose to assess tax based on the information that the IRS is aware of—typically this consists of W-2 and 1099 forms and other tax documents that the IRS has on file. In fact, the letter will summarize the sources of income that the IRS used to calculate the tax. Send in a statement explaining that the person isn't required to file a tax return (and why). If a person does not respond to the assessment letter within 30 days, the IRS mails out a second letter. This second letter is sent by certified mail, which requires that the person sign to receive the letter. This second letter is called the Statutory Notice of Deficiency. Here's a sample Notice of Deficiency in pdf format. (It's also called Letter 3219-B). Sometimes, however, the person did not receive either of these two notices. In that case, the substitute tax return is discovered when the client decides to file their unfiled tax returns. As part of that process, their tax professional reviews transcripts from the IRS and realizes that the IRS has already filed a substitute return and made an assessment of tax. Congress authorizes the IRS to prepare tax returns based on information available to it in situations where a person has not filed a return (Internal Revenue Code 6020). The typical situation is when the IRS notices that a person hasn't filed for a few years, yet that person has income documents on file with the IRS, such as W-2 and 1099 forms. The IRS will then file substitute returns for all the unfiled years based on the information on those tax documents. "Maybe the taxpayer hasn't filed over a course of, say, four years," Griffin said. In that situation, the IRS can and often will "go ahead and file a substitute return." How Does the IRS Calculate Tax on a Substitute for a Return? "The IRS will prepare [a substitute return] in the best interest of the government," Griffin said; in other words, a substitute return has "no deductions, no credits, [and] could result in the taxpayer having a balance owed." Think about that for a second. If a tax return is prepared without any deductions, without any tax credits, it's quite likely that the IRS's calculation of tax is much higher than it should be. And in most cases, that's just what happens. "And sometimes," Griffin revealed, "the IRS owes the client a refund." "Providing the time limit hasn't passed," Griffin explained, "they can still get a refund or have that refund applied to any outstanding balance due they have with the IRS." The time limit is three years from the original filing deadline. So, for example, the filing deadline for individual returns for the tax year 2014 is April 15, 2015. Three years from that date is April 15, 2018. People have until April 15, 2018, to file an original return for the tax year 2014 to claim a refund from the IRS. What if the tax return is being filed outside of this three-year time limit? The refund expires. The IRS cannot issue the refund back to the client. Nor can the IRS apply the refund to an outstanding balance on another year. Nor can the IRS apply the refund as an estimated payment to a future tax year. The refund money simply disappears. "They [are] just giving [the] IRS money," Griffin says. "Could be several weeks to several months, sometimes as long as 10 months to a year," Griffin said. However, while the IRS is processing these original tax returns, they will hold off on trying to collect money from the taxpayer. "As long as the IRS has noticed they received the original returns and being worked on," Griffin said, "they put it on a temporary hold for the IRS to review everything." If the client has outstanding balances owed for other years, Griffin advises that the client "continue any payment plans they have set up with the IRS." Clients have the right to go to Tax Court to contest the IRS's tax assessment, which is related to our right to appeal an IRS decision in an independent forum. The "client has the right to file an original tax return themselves," Griffin says. The client has the right to pay the correct amount of tax. The client has the right to retain representation. Attorneys, enrolled agents, and certified public accountants can all represent clients in matters before the IRS. Gather up all these documents, or as many of them as you can find, and make an appointment with a tax professional, preferably one who specializes in these kinds of situations. "Fortunately, some documents can be obtained from the IRS such as W-2s, 1099s," Griffin explained, "these can be acquired from the IRS via the wage and income transcript." "However, as far as expenses are concerned," Griffin went on to say, "those would have to be recreated from bank statements or receipts." The important thing is to gather as many documents as you can and then meet with a tax professional to sort through everything. "If you don't know if you should bring it, bring it anyways," Griffin explained, "don't stress, we'll figure it out." How many years of unfiled tax returns should be filed? If the IRS does owe me money, will I receive it? 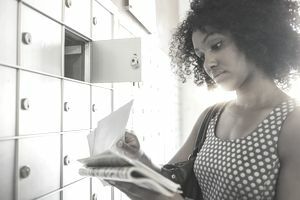 Should I mail in the tax returns or hand-deliver the returns to an IRS walk-in location? Who will be working with me from start to finish? Who is the person who is going to be working on my problem? Is it going to be passed off to someone else? When working with any tax professional, it's a good idea to build some common ground. Ask them what licenses they have. Ask how they price their services. Ask them to put together a project plan with deadlines. And ask them what their preferred method of communication is. Some people are better by phone, others are better at email, and still others prefer that you drop by for an in-person meeting. From the Internal Revenue Manual 25.6.1.9.4.5, "the assessment date will start the period for the statute of limitations for collection per IRC Section 6502(a)(1), but does not start the period of limitations for assessment." However, if a person agrees with the substitute return, then signing the substitute return does start the audit statute of limitations. From the same section of the Internal Revenue Manual, "If the taxpayer signs an SFR return prepared from income information received from the taxpayer, it becomes the taxpayer’s return per IRC Section 6020(a) and starts the assessment period of limitations." The information in this article was based in part on an interview with Falisha Griffin, a tax practitioner who specializes in helping people with late tax returns. It was also based in part on the author's own research into this issue. We encourage you to seek professional help whenever you are dealing with a tax problem.